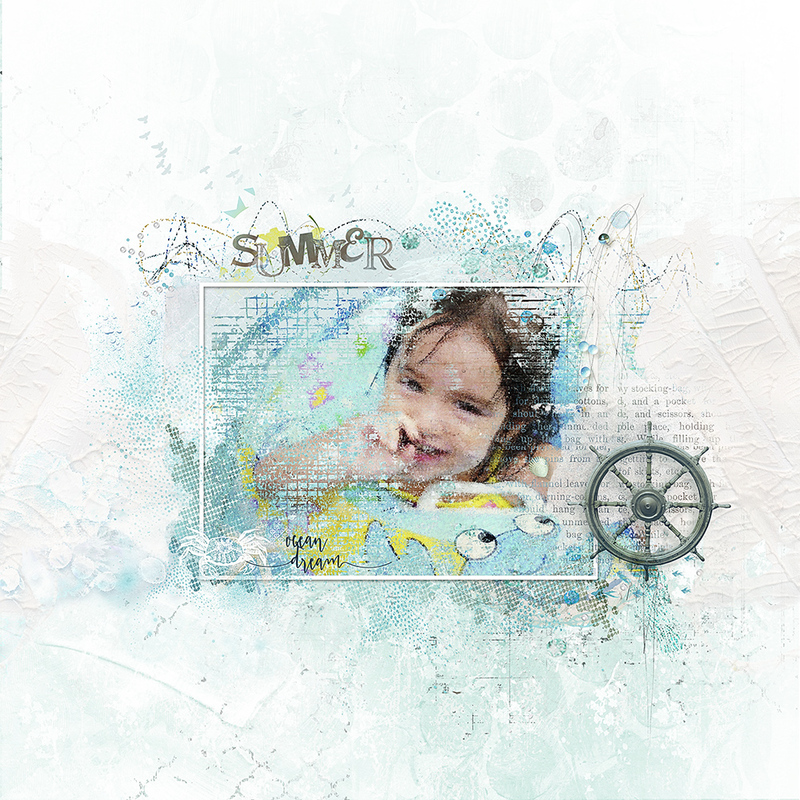 The August 2015 Collection Beach Memories a wonderful summer and beach collection for all your summer,vacation on the beach,(or pool) layouts! 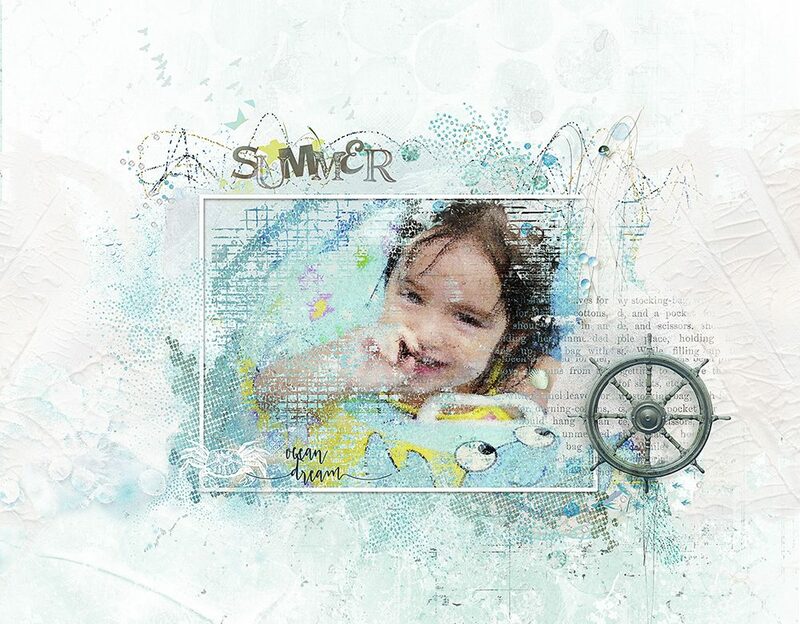 It’s a fun collection to make splashy,watery pages with the wonderful bits and pieces and brushes and masks! Love the colors and the energy you can create with this collection.